Eco-friendly is a buzz word of the 21st century, and rightly so. There are many reasons why we need to be greener – both in the home and at work – not least the damage that we are doing to the planet by wasting energy. There’s also the personal reason, which is that some green initiatives can save you serious money. 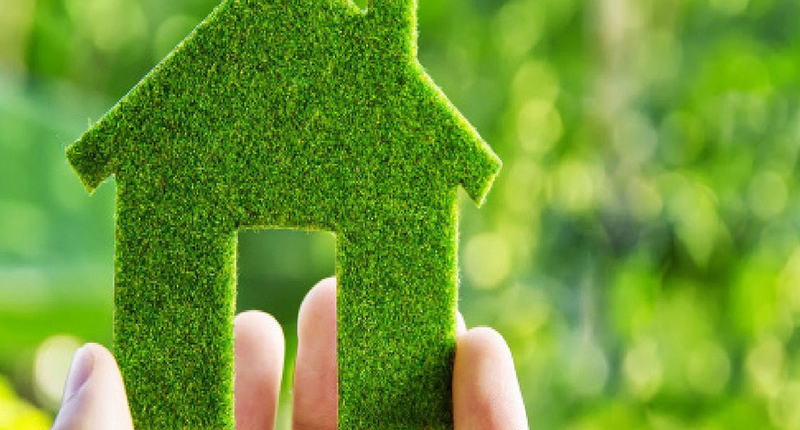 Let’s have a look at some clever and cheap ways to be greener in the home, and to save you money in the process. Energy Efficient Central Heating – a great proportion of your household expenditure goes on your heating and water heating costs, and you probably don’t have the most efficient system in place. This is not your fault, it’s simply that it’s not an area of the home you change often. You can, however, make a difference by fitting an efficient, modern thermostat; these are very clever devices that will monitor your heating needs and can be adjusted from afar using your mobile phone, and they are well worth checking out. Proper Insulation – heat rises, and if you don’t have insulation of a certain standard in your loft space, you will lose heat through the roof. You may even be able to get grants from the government to improve your insulation, so it is certainly worth the investment. Check out your current insulation, and you may find you need to improve – make it a priority. Efficient Appliances – there has been much improvement in the efficiency of household appliances in the past couple of decades, so it’s worth looking at buying more modern ones. For example, did you know that one of the least efficient of appliances is the kettle? You invariably boil more water than you need, and that’s wasting energy. Why not buy a one cup kettle? These clever devices heat you one cup of water – or more if you wish – at a time, and are incredibly efficient. You can read an excellent review of the top 10 at Best Reviewer, a site dedicated to reviewing a wide range of household goods, appliances and other items – they also have one on the thermostats we mentioned before – so it’s a great place to check out and see what they have for you. Alternative Energy – solar and wind power are both becoming more popular and can be the way forward for some homes. Have a chat with your local providers for more information, and you may find that you can save money by producing energy this way. That’s just a few of the ideas you can use to be greener at home, and there are many more to be found if you search the internet. It’s a good feeling to know that you are contributing to a greener planet, and saving money on your energy costs at the same time. Why not check out Best Reviewer now for more inspiration, and have a look at the fantastic range of products they have reviewed?